Excellent bag of clubs. Great finish. Perfect match with the electric car. Very pretty. 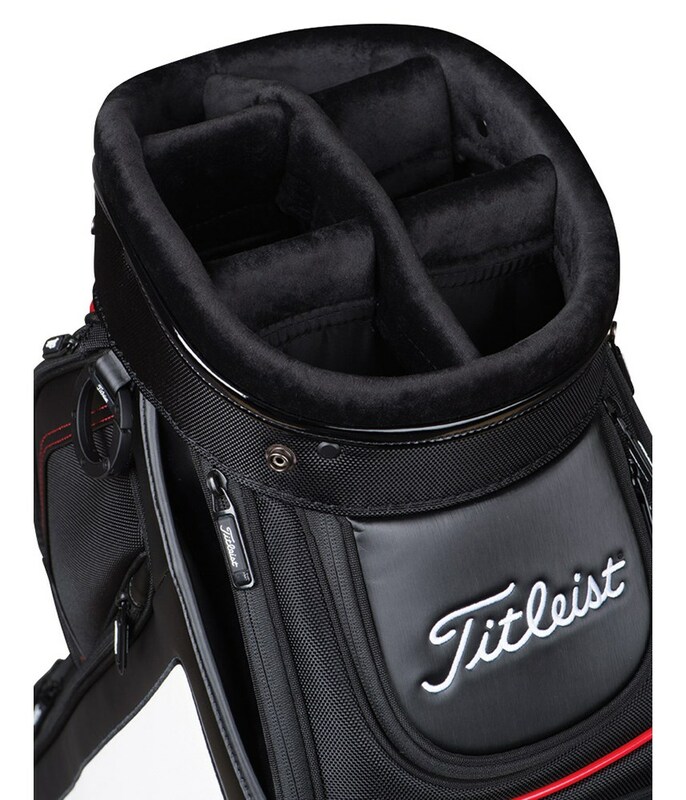 I had a very old model of a Titleist cart bag, when I looked at this one I immediately fell in love. It is very light (compared to the antique I had, it is comfortable to carry and easy to put it on the trolley. It has a lot, I trully mean a lot of compartments and pockets to store everything you want. As all the Titleist products the attention to detail is superb. 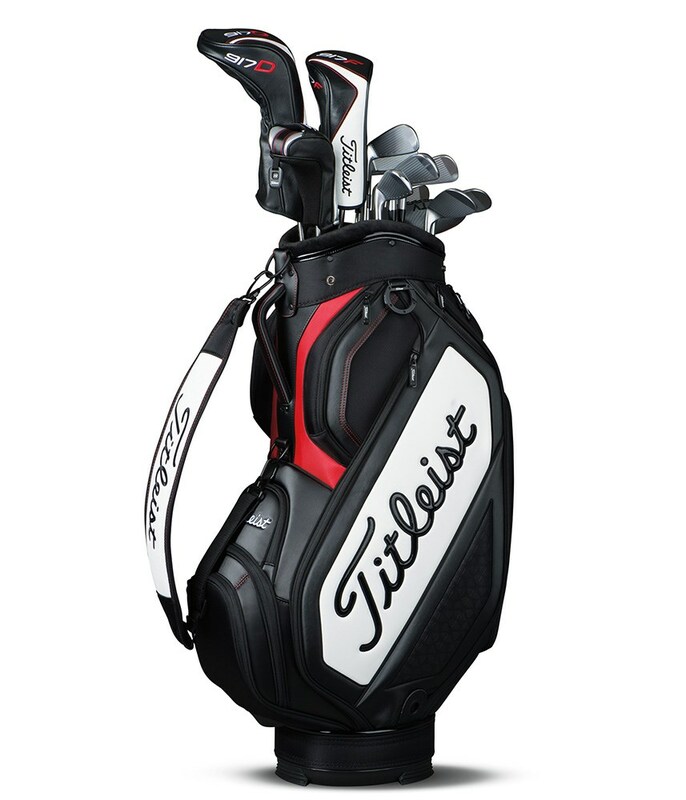 I wish they offered the option to customize this bag as well, currently, it is only available for the tour and the stand bag. I use the bag on a buggy, I don't use a trolley. I love the look of a tour bag without the bulk, this bag is just that, with pockets made to aid those using a buggy or a trolley, also quite light. The only thing I would change is the 6 way top divider, I would make it 5 way, like the full tour bags. That would make it easier to fit the woods and putter with no division. All in all very happy, glad I made the purchase. Great bag, great quality. Lighter and smaller than expected regarding size but so many space inside. Best bag so far. 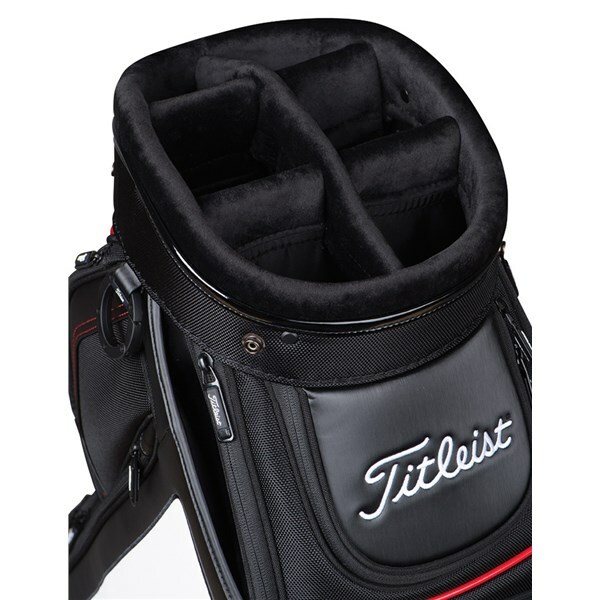 The Titleist Midsize Staff Cart Bag is the ideal bag if you are looking for a tour style bag with the practicality of something a little lighter and smaller. 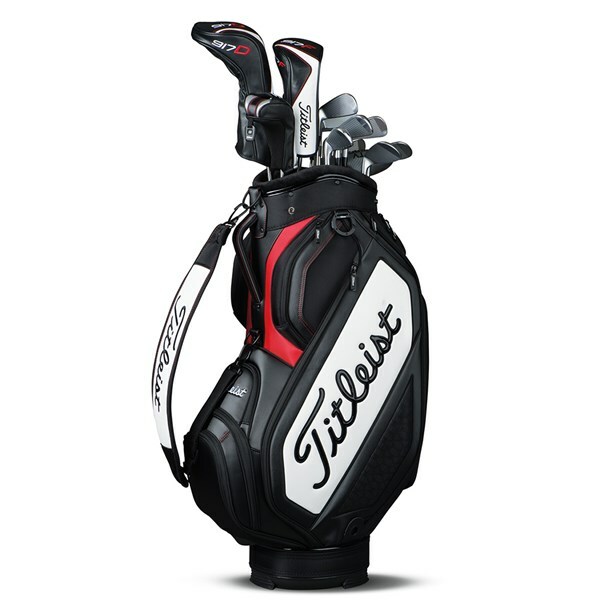 With its distinctive Titleist styling and lightweight construction the Midsize Staff cart bag shouts “player.” A spacious 6-way, full-length divider system provides excellent club management as well as protection to the shafts and grips. Integrated into the top cuff design are two moulded grab handles to make loading much easier. A multiple forward facing pocket design will enable you to access the pockets easily whilst on the go. An ergonomic handle and high-density foam strap design makes lifting easier and improves carrying comfort as well as providing excellent balance when loaded. A cart or trolley friendly base unit provides a secure fit on all styles of trolley.